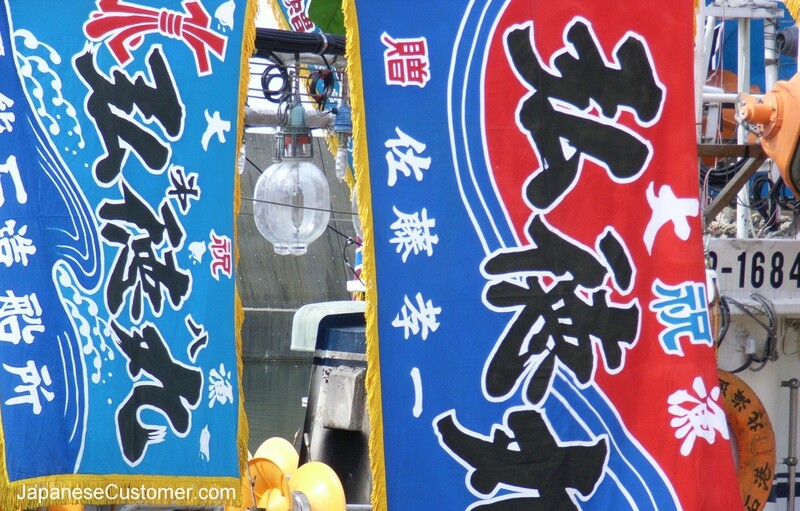 "When a vessel pulls into port with a large catch, it raises a banner called a tairyobata. Tairyobata are characteristically showy in color, both from a superstitious and to be conspicious on a vessel. They are mainly hoisted during festivals these days"